Good, but not as good as the first. We go from fantastic ghost story to conspiracy theories? 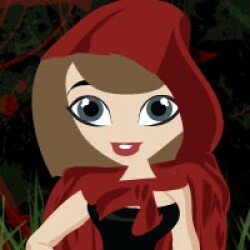 Meh.When I first read Anna Dressed in Blood, I loved it. It was great, beautiful, terrible, tragic, and hopeful all at once. 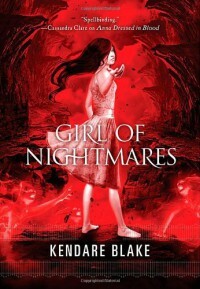 I was so excited when I got gift cards for Christmas and knew Girl of Nightmares had to be one of the books I purchased. And I couldn't wait long to read it.And it was good. Not great, like Anna, but good. Maybe it is because Anna doesn't really appear much. Maybe it is because there is a focus on the history of the atheme and the "cult" behind it. I don't know.Cas and the gang however stay true to form. Ghost hunting, almost getting their butts kicked a time or two. Fighting, casting spells. Being stubborn and steadfast on finding a way to save Anna. I was rooting for them the whole time. I mean really everyone telling Cas to give up and she is where she is supposed to be while he is having those nightmares and daymares? Yeah, I don't think so. I would have been crazy in 2.5 seconds.I did think they would have a tougher time getting to the point where they were ready to try and get Anna. A few more obstacles or something. Not that it was easy by any means, but the test they had to endure, while terrifying, seemed anti-climactic. I just don't know. Did I like it? Definitely. Did I have issues with it? Yes. Would I suggest others read it? Absolutely, especially if you need some closure after Anna Dressed in Blood.